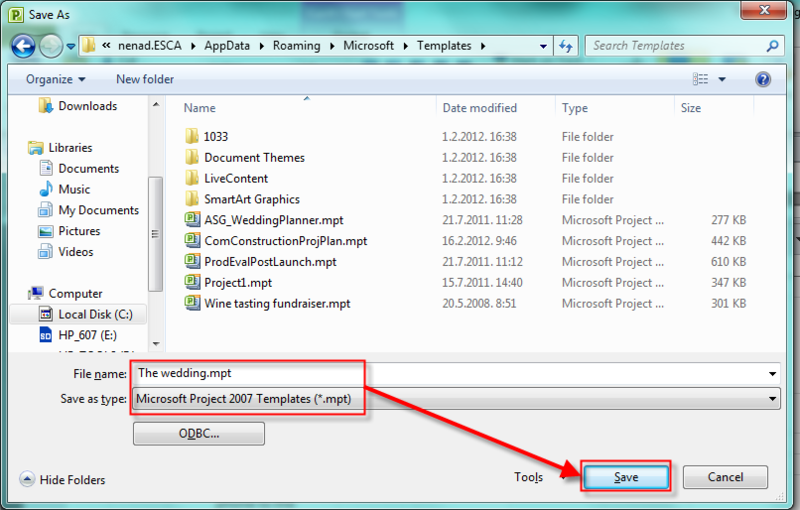 How to create and use Templates in MS PROJECT 2010? 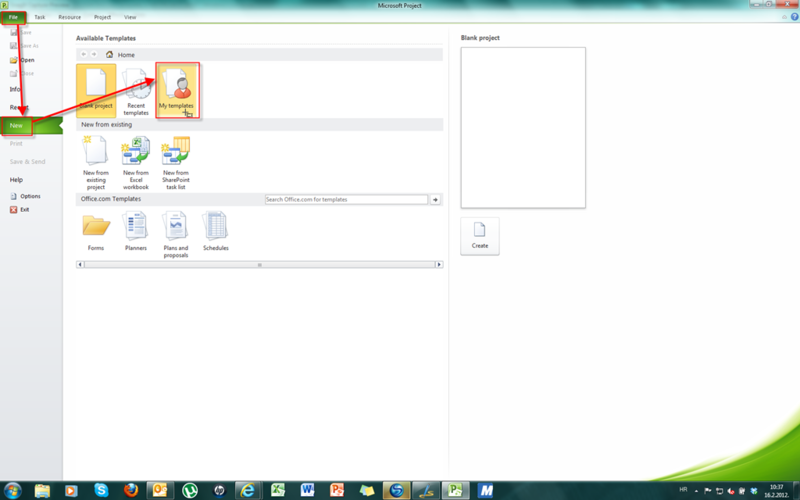 You can use MS PROJECT 2010, for various Project types (software development, event organization, production, construction, etc.). 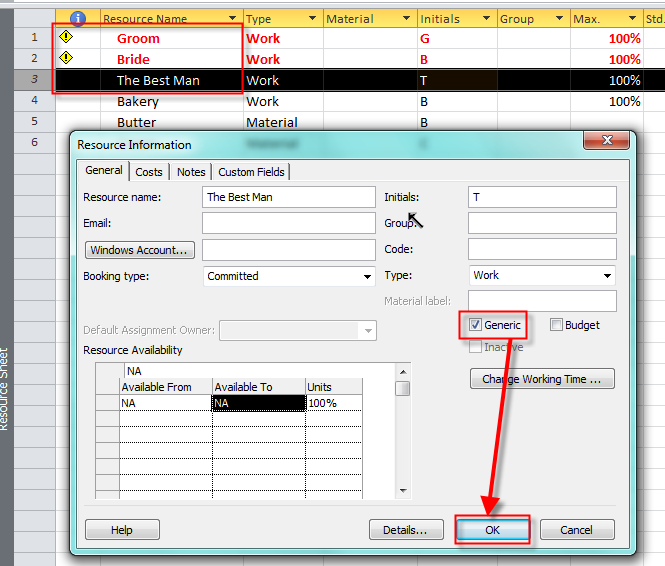 For each new Project (of same type), you can build your task, schedule, resource pool, assignments, costs, reports, etc. fro the scratch. Yes, you can! But it will be overhead, time consuming and dangerous. Why dangerous, you may ask? Because if you are, for example, engaged in wedding organization project, you may forget some important things (Task) in your Project if you will build it from the scratch. 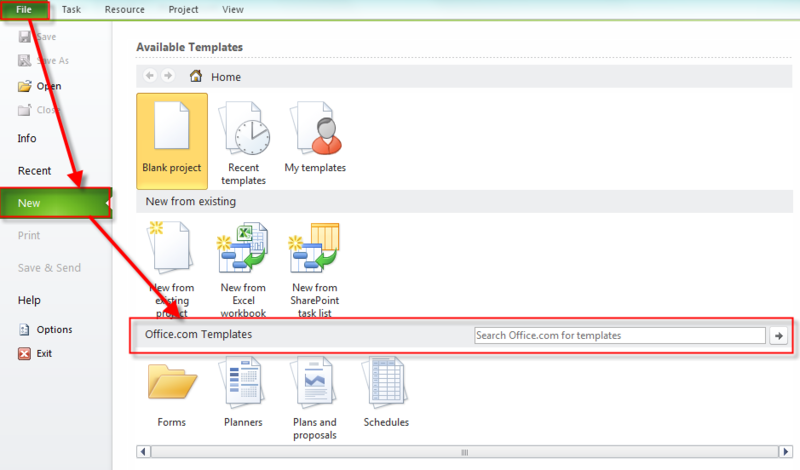 There is much better way to do the “same” Project from Templates in MS PROJECT 2010. I know, I know, there is no such a thing like “same project”, because Project is (by PMI) “Temporary endeavor undertaken for creating unique product, result, or service”. So better word is similar project. On the other hand, if you are novice in some area you can find template (or templates) on the internet created by someone else. I can rearrange that template and after that I can save it to my own template, or I can build my own template from my existing project. 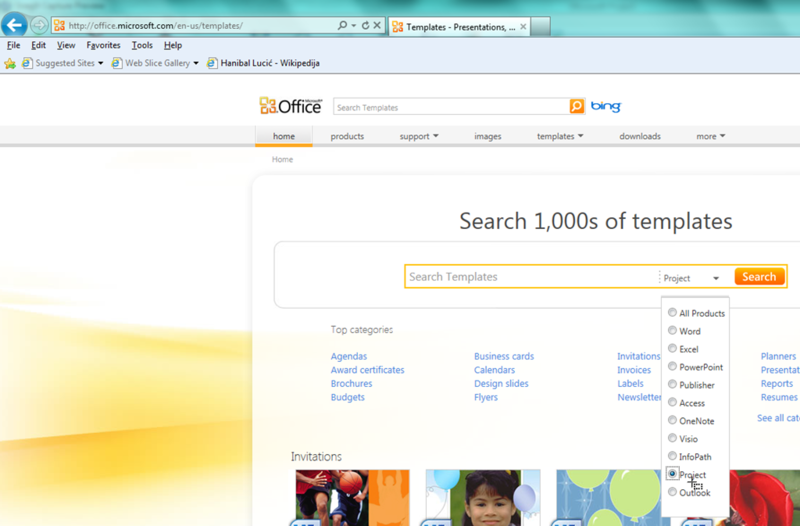 You can Pick any template you like, and adopt it for your convenience. 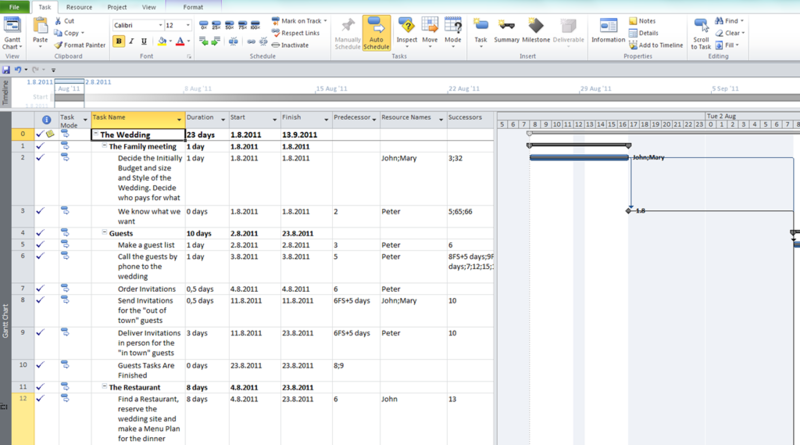 You can see that there are Resources assigned to the Tasks, and that Project is 100% finished. Do not evaluate this Project! I made it up just for example at it does not present the real world situation! 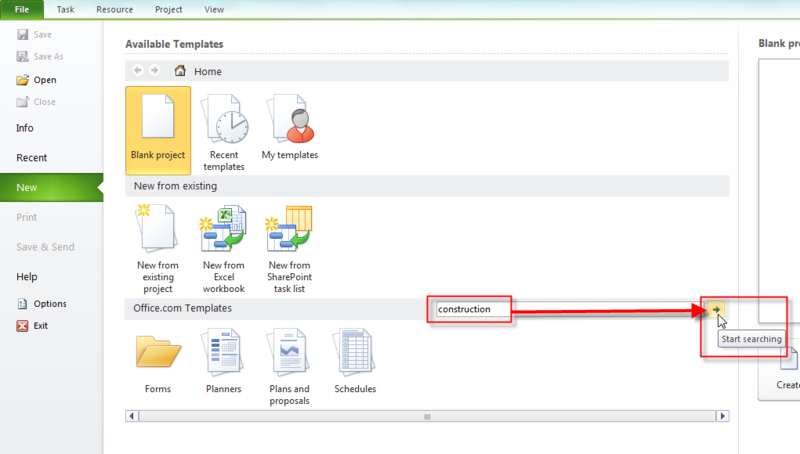 You can select what do you want to exclude in Template. I suggest that you exclude all of them. Why? Because the Project is unique, so those values will change from Project to Project. You can see that Actual Values are gone! I will replace John as Groom, Mary as Bride, and Peter as Best Man! The first thing you must do for your new Project is to type Project Start or End date (depends on if you are managing your project from Start or End date). 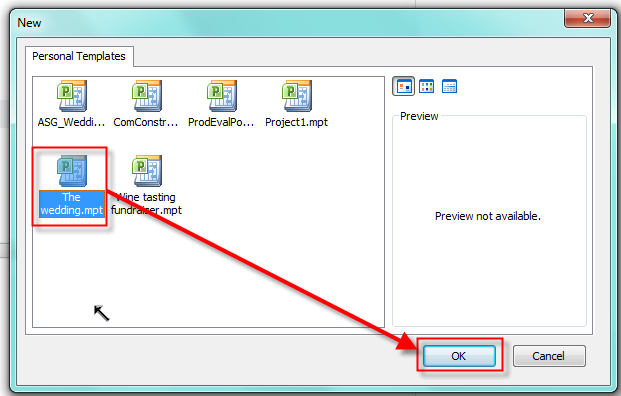 Now you should save the Project, and start to work with it. If you know your resources, you can replace Generic with real one! 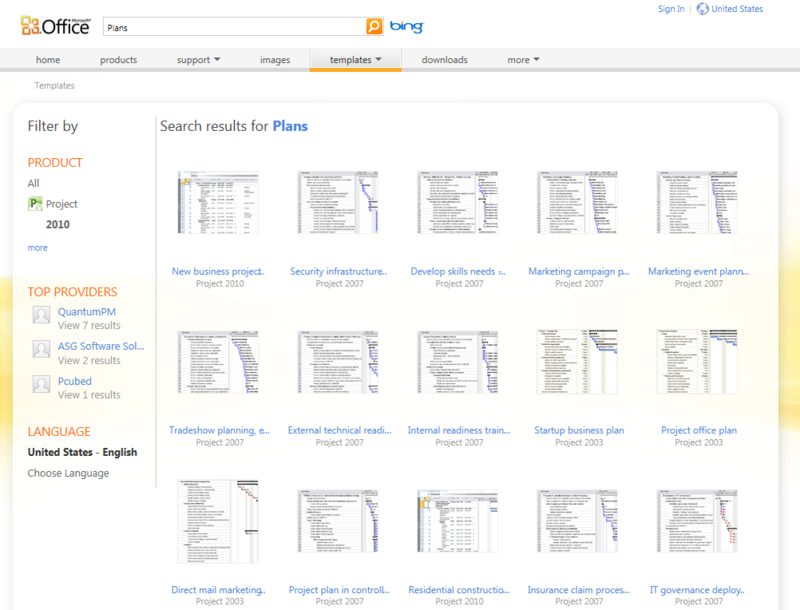 This entry was posted in MICROSOFT PROJECT, Microsoft PRoject 2010, MS PROJECT 2010, PMI, PRoject Management and tagged Microsoft Project 2010, Microsoft Project 2010 - Templates, MS PROJECT, MS PROJECT 2010, PMI, Project Management. Bookmark the permalink. 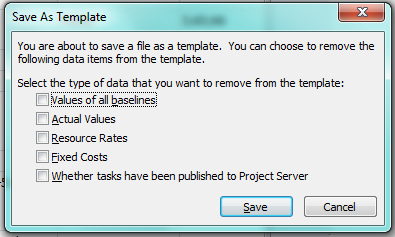 4 Responses to How to create and use Templates in MS PROJECT 2010? In my experience a good plan should aim to capture the needs of the various project stakeholders (however they may be). Sometimes a project can overrun and be over budget but it is still deemed a success because the needs of the stakeholders had been identified and met. In the project planning process these needs can be expressed as goals, which are then prioritised in order of importance. Then the next steps is to create a list of deliverables (products, documents, things) the project needs to deliver in order to meet the project goals; create a list of tasks that need to be carried out for each deliverable. * the resource who will carry-out the task. 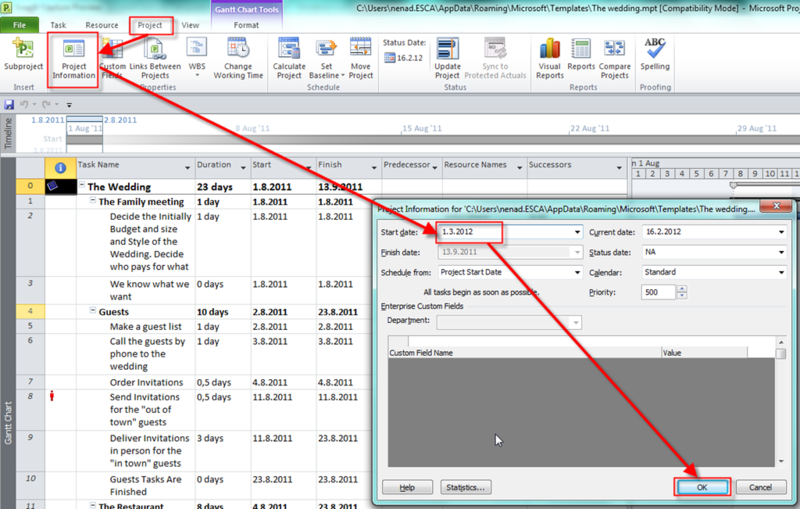 Finally, you can schedule these tasks on your plan to derive accurate delivery dates. Thanks Nenad. I’m preparing to take the MS Project 2010 certification exam and I’m just checking to make sure I understand how to do everything on the checklist. I appreciate you posting this for us.